'Tryon Hall', the C.K.G. 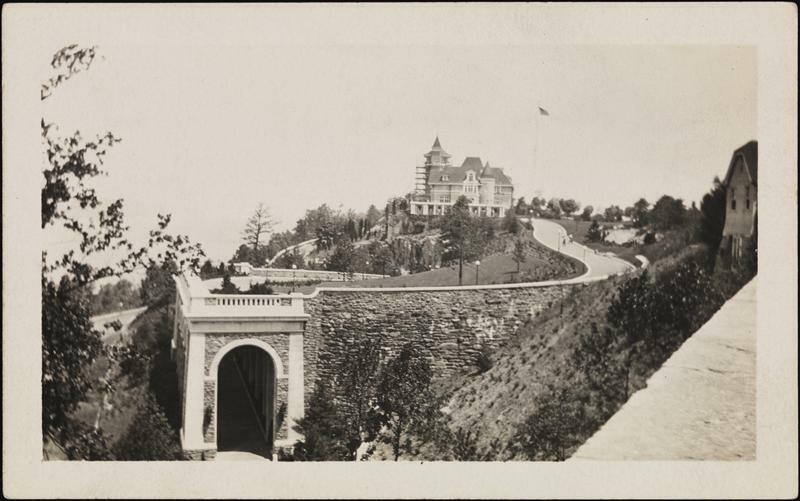 Billings estate designed by Guy Lowell c. 1903 along Fort Tryon Park in New York City pictured in 1914 shortly after the completion of Billings' $250,000 driveway designed by Buchman & Fox. Click HERE for more on 'Tryon Hall' and HERE for a 1913 NYTimes article on the driveway. Photo from the Museum of the City of New York. It all looks more like a 1930's set for a Hollywood Horror film than a real landscape and place, doesn't it? The Reaper of Fort Tryon starring Edward G. Robinson and Humphrey Bogart c. 1937....I'd totally watch that.